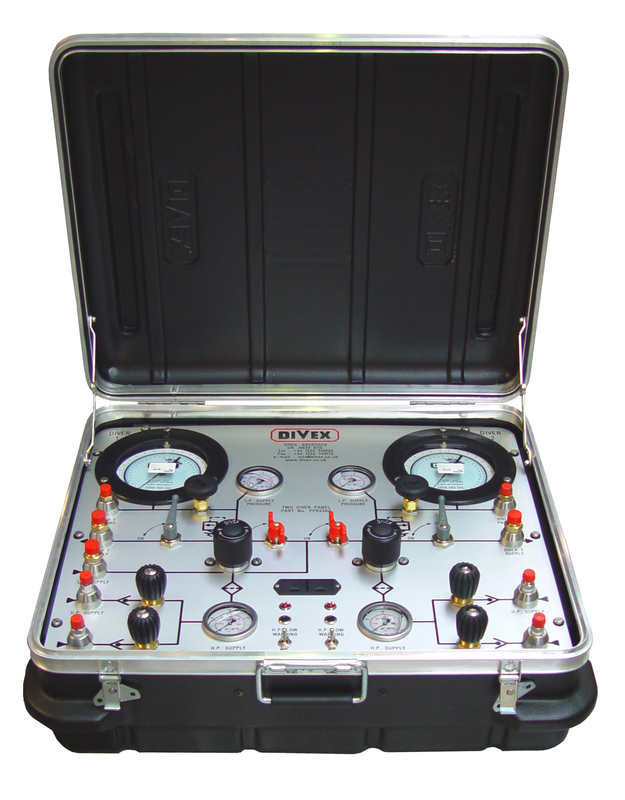 Designed to support air diving operations to 60 metres (200 feet), the Divex two diver HP/LP control panel is ideal for inshore commercial diving activities and police search and rescue teams. Each diver has an independent breathing air supply which is in accordance with the Association of Diving Contractors guidance note ADC 5/95. Each diver is provided with 2 x valved HP inlet connections and a high flow regulator as the primary supply system.